This is the statement of Affirmative Action as adopted by the Oklahoma School of Science and Mathematics on August 1,1990. Consistent with federal and state laws and guidelines established for affirmative action and equal employment opportunity, it is the policy of the Oklahoma School of Science and Mathematics to provide equal employment and advancement opportunity in all job classifications of this agency without regard to political or religious opinion or affiliation, race, creed, gender, age, color, national origin, or physical handicap, so long as the physical handicap does not render the person unable to do the work for which employed. The principles of equal employment opportunity apply to all employment practices and personnel actions throughout the agency, including recruiting, hiring, demotions, separations, transfers, layoffs (RIF), recall, compensation, benefits and all other terms and conditions of employment. All personnel actions as well as all decisions relating to employment practices are to be made in accordance with equal employment opportunity for all. Shannon Gorbet, Controller, is assigned to serve as the Affirmative Action/Equal Employment Opportunity Officer for this agency. She is available to any employee having questions or needing assistance regarding affirmative action or equal employment opportunity in this agency. In addition, the Equal Employment Opportunity Officer and Coordinator will be responsible for the publicity to ensure that all employees and applicants are knowledgeable of the Agency’s commitment to the program of Equal Employment Opportunity. This activity will be assured through the orientation of and distribution of the Affirmative Action Plan to all Agency employees. The Plan will be posted on the Agency bulletin boards so that all employees and visitors may be aware of the policy and procedure in this undertaking. Every employee should perform his/her duties and responsibilities in a manner that demonstrates this agency’s firm commitment of affirmation action/equal employment opportunity. 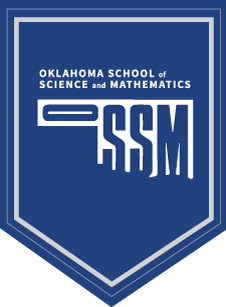 For a copy of the Oklahoma School of Science and Mathematics Affirmative Action Plan, please contact Lynn Morgan at (405)521-6436.